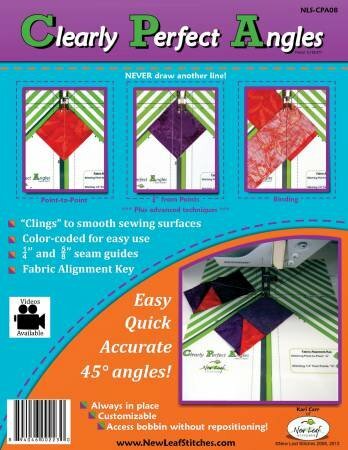 The Clearly Perfect Angles clings to any smooth sewing surfaces so it is always in position, ready to sew any 45-degree angle accurately. Use to make half-square triangles, flying geese, snow balls, miters and binding. Includes 1/4 inch and 5/8 inch seam guides. Customizable to any sewing set-up.